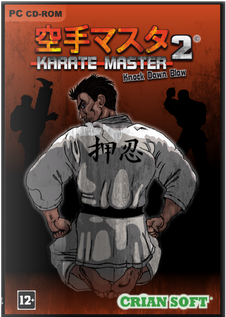 Karate Master 2 is a PC / Windows game that mixes elements of RPG, simulation and arcade, in an explosive combination that will leave nothing if not enthusiastic fans of the Beat'em up genre! Set in the 80s, KM 2 will immerse you in the life of a full contact karate fighter, friends, enemies, work, training sessions and so many fights. You will face challenges at the limit of human endurance, participate in tournaments to cover you with glory, fighting in mixing style and brutal fights with no holds barred. KM2 uses a deliberately retro graphics to remind memories of the glorious 90s celebrating a genre and an art, Karate, who was at that time as now was a true lifestyle. The game mechanics are intertwined with elements of simulation, leaving room for playability and stimulating the competitive components, every encounter should not be underrated, each shot can be crucial.